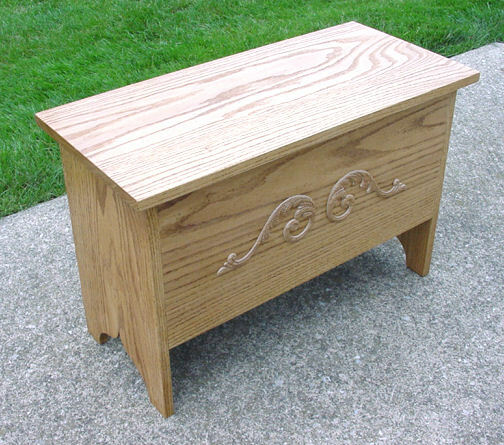 Another Small Oak Storage Bench. This was a custom order but it can be made to your dimensions and color. Custom made furniture CAN be inexpensive! We can make this just the way you want it.